Understand that no one can time the market. P.T. 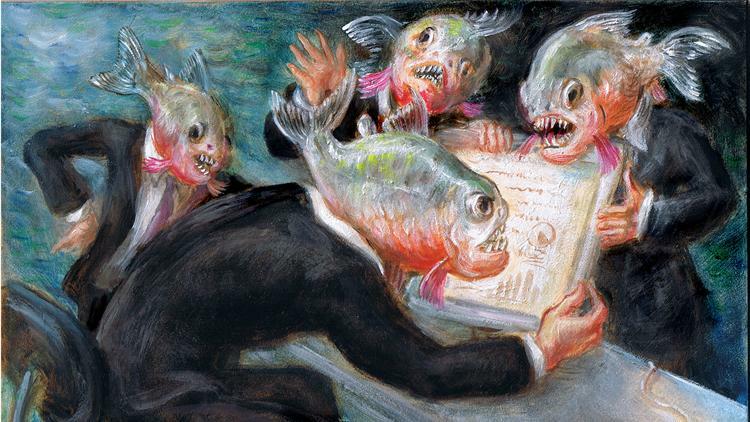 Barnum is often credited with coining the phrase, “There’s a sucker born every minute.” History buffs argue the famed circus founder instead stated, “There’s a customer born every minute.” However, for investors subscribing to market-timing services, the words “sucker” and “customer” are virtually interchangeable. At first glance, the 10 gurus who had percentage accuracy of more than 50% might look appealing. But beware, the opportunity costs associated with being in cash before markets rise creates a higher hurdle that can only be made up by being in cash before markets go down. Transaction costs, taxes and mistakes associated with market timing add hurdles for market timers to just break even. Almost all big stock market gains and drops are concentrated in just a few trading days each year. Missing only a few days can have a dramatic impact on returns. 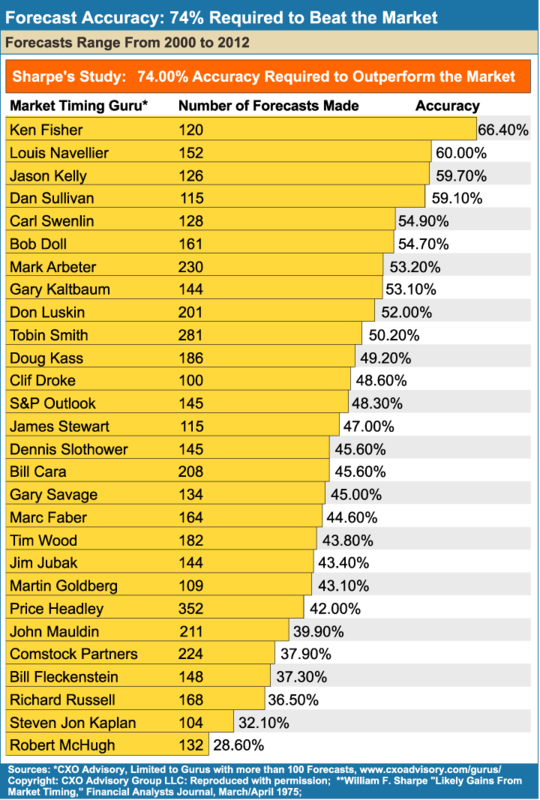 Figure 4-2 illustrates how an investor who hypothetically remained invested in the S&P 500 Index throughout the 20-year period from 1998 to 2017 (5,036 trading days) would have earned a sizable 7.20% annualized return, growing a $10,000 investment to $40,135. 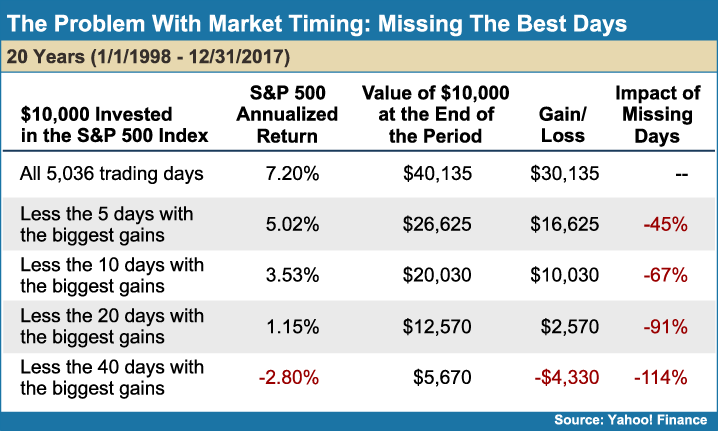 When the five best-performing days in that time period were missed, the annualized return shrank to 5.02%, with $10,000 growing to $16,625, and if an investor missed the 20 days with the largest gains, the returns were cut down to just 1.15%. If the 40 best-performing days were missed, an investment in the S&P 500 turned negative, with $10,000 eroding in value to just $5,670, a loss of $4,330. Many market timers want to miss the worst-performing days, an even bigger issue than the problem of missing the best days. The predicament, however, is that the worst days are equally concentrated and just as difficult to identify in advance as the best days. If someone could have avoided the worst days, they would have obtained true guru status. Figure 4-3 illustrates the value of missing the worst-performing days in the 20-year period from 1998 to 2017. 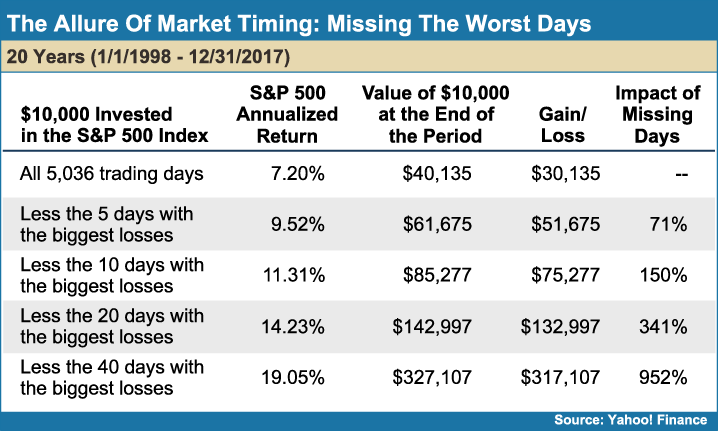 If the 40 worst-performing days of the S&P 500 Index were missed, an investor’s increased return would have been 952% more than investors who stayed in the market every day throughout the entire 20 years. 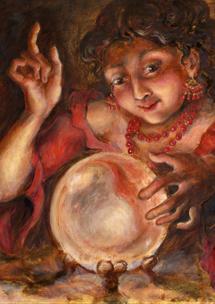 The problem, however, is finding the crystal ball that can forecast the 40 worst performing days out of 5,036 days. 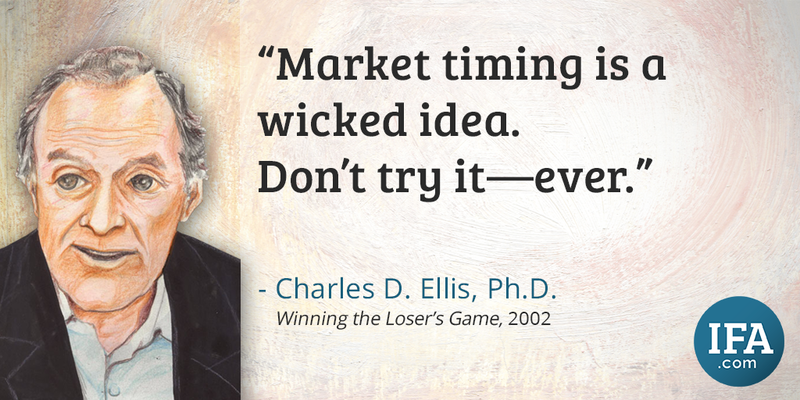 This shows how market timing can be tempting and alluring. The expected return of markets are positive and essentially constant. Therefore, investors who are out of the market for any period of time can expect to lose money relative to a simple low-cost and tax-efficient buy-and-hold strategy. 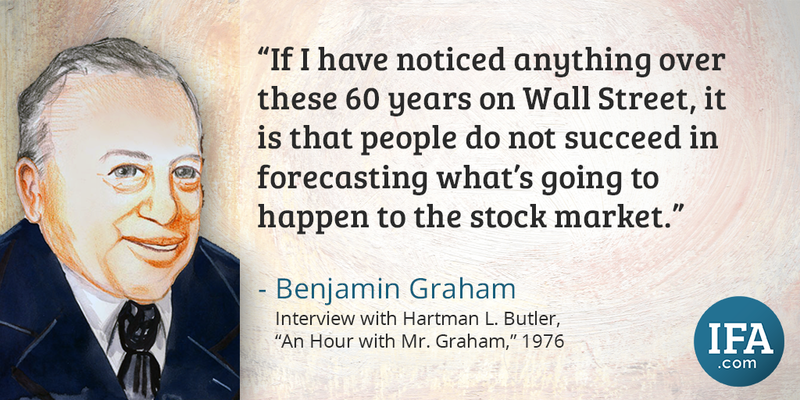 Many investors believe market watchers have the ability to forecast future market movements, but history tells a different story. Take the first half of 2009, when many such forecasters dismissed the rise in stock prices that ensued in March 2009 as an anomoly that would soon be rectified. Only market timers who have the Goddess Fortuna or Lady Luck whispering in their ears might be able to accurately forecast the markets twists and turns. 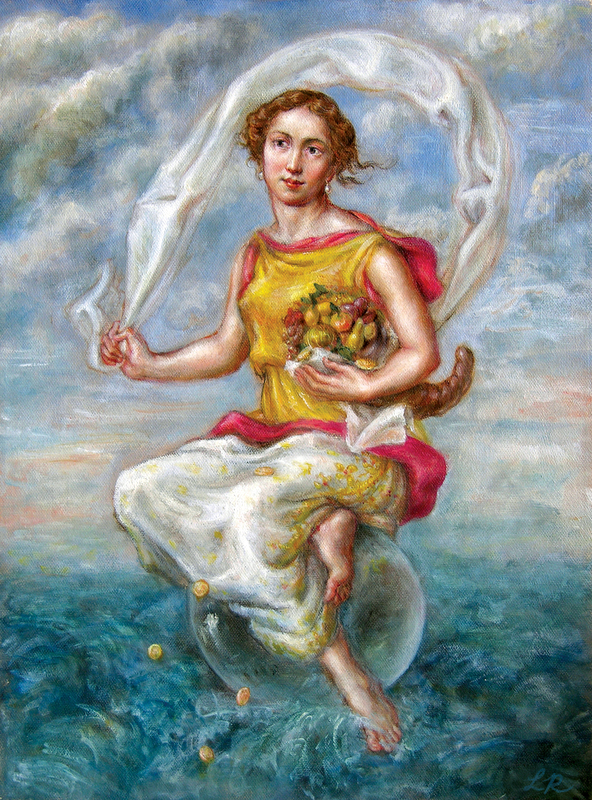 The Goddess Fortuna offers a cornucopia of gold coins and treats, but she sits atop a bubble that floats on the ocean, reminding us how fleeting luck can be. Her flowing scarf reminds her followers their fortunes can shift in the wind. A 1969 study titled, “The Adjustment of Stock Prices to New Information,”10 was conducted by Fama, Jensen et al, and concluded it takes five to 60 minutes for market prices to completely reflect new information. Given the study took place in 1969, imagine how quickly market information travels today as investors worldwide instantly get market news on their smart phones. Fund managers seek to exploit any tiny possible gain by reacting quickly to news, but the likelihood that they will consistently be on the right side of a trade is non-existent. When discussing the direction of the market, it’s important to use the past-tense verb. During times of high market volatility, people commonly err by saying, “The market is going down or going up.” Although it appears innocuous, this statement implies that the future direction of market prices is knowable. 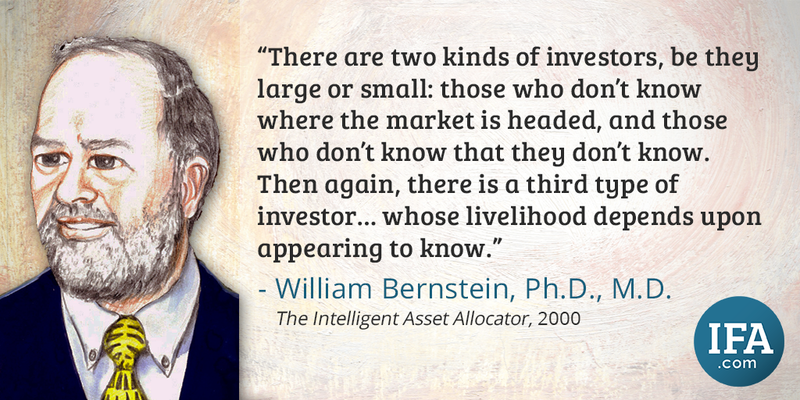 These statements serve as the impetus for rash investment decisions. Such decisions usually do not fare well, because they are based on the fallacy that one can predict future price movements. 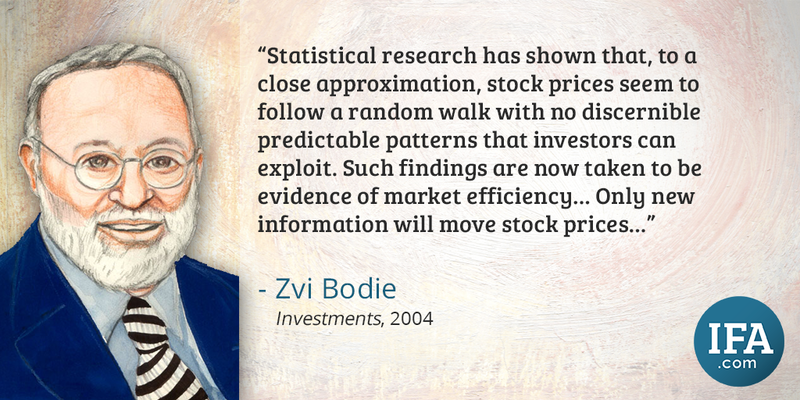 Investors can avoid this pitfall by understanding Eugene Fama’s finding that security prices move in a random walk. At all times, we only know the current and past price of any security. Where the price will be even a second later is unknown. The market continuously sets prices in response to news, which by its nature is unpredictable. Investors will serve themselves well by being able to say “the market has gone down or has gone up” without even having to think about it. 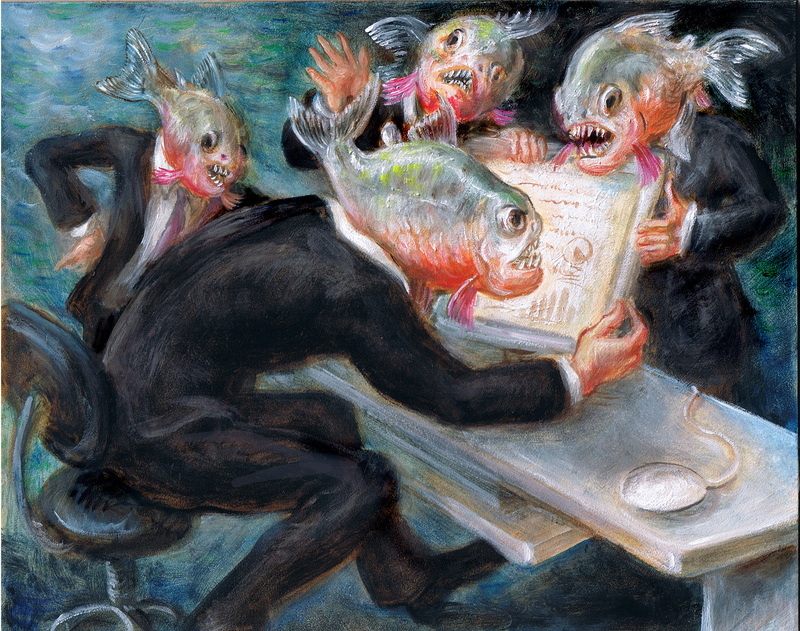 The job of free markets is to set prices so that investors are rewarded for the risks they take. To help explain this important statement, I created a model, which attempts to simplify market forces into three variables: Price, Expected Return and Uncertainty. Prices move inversely proportional to economic uncertainty so that expected returns at a specified level of risk can remain essentially constant. This implies that prices are fair all the time. From fair prices we expect fair returns, meaning that investors should be compensated for their risk exposure over a risk appropriate hold period. The reason people invest is to get a return. At the time of a trade, buyers pay a price that reflects the risk associated with capturing the expected return. In other words, a fair price equals a fair expected return. This model is based on Eugene Fama’s Efficient Market Hypothesis, which states that prices fully reflect all available information or news, economic uncertainty and probabilities of future events, thus implying that market prices are fair. 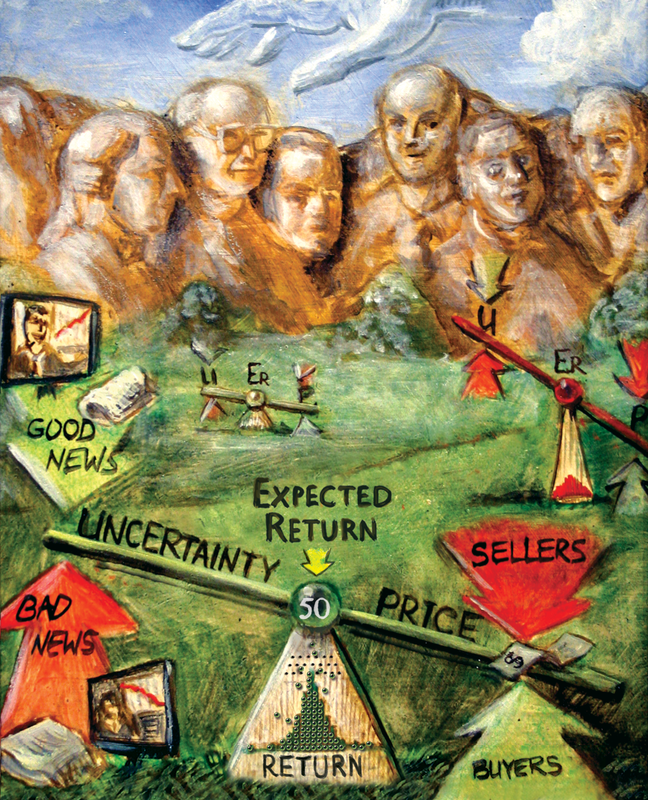 The model shown in the following painting attempts to diagram the three variables of Price, Expected Return and Uncertainty— resulting in a distribution of actual monthly returns shown at the bottom. The diagram shows the essentially constant expected return of a diversified investment portfolio held constant with 50% stocks and 50% bonds. Index Portfolio 50 is shown at the fulcrum of the teeter-totter, and the period- specific expected return can be estimated based on 50 or 90 years of simulated historical returns, the Fama/French Five-Factor Model, or any reasonable method an investor chooses. 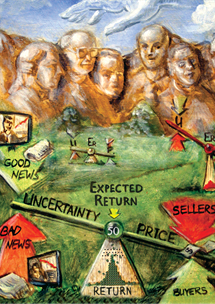 Current news impacts economic uncertainty and is represented on the left side of the teeter-totter. This economic uncertainty includes the probabilities of future events as estimated by the buyers and sellers. The price agreed upon by willing buyers and sellers is on the right side. Prices move inversely proportional to shifts in economic uncertainty so that expected returns remain essentially the same for a given level of risk. From a fair price investors should expect: 1) a fair outcome, which would be a risk-appropriate or fair return; 2) an equal chance of being greater than or less than that fair return; and 3) the farther the actual return is from the expected return, the lower the probability of its occurrence. So before you trade, ask yourself: 1) Who is on the other side of my trade? 2) Do I think I know more than they do? 3) Am I paying a fair price? In my opinion, your answers are as follows: 1) You don’t know; 2) It’s highly unlikely; and 3) If there are many willing buyers and sellers, by definition, it is a fair price. 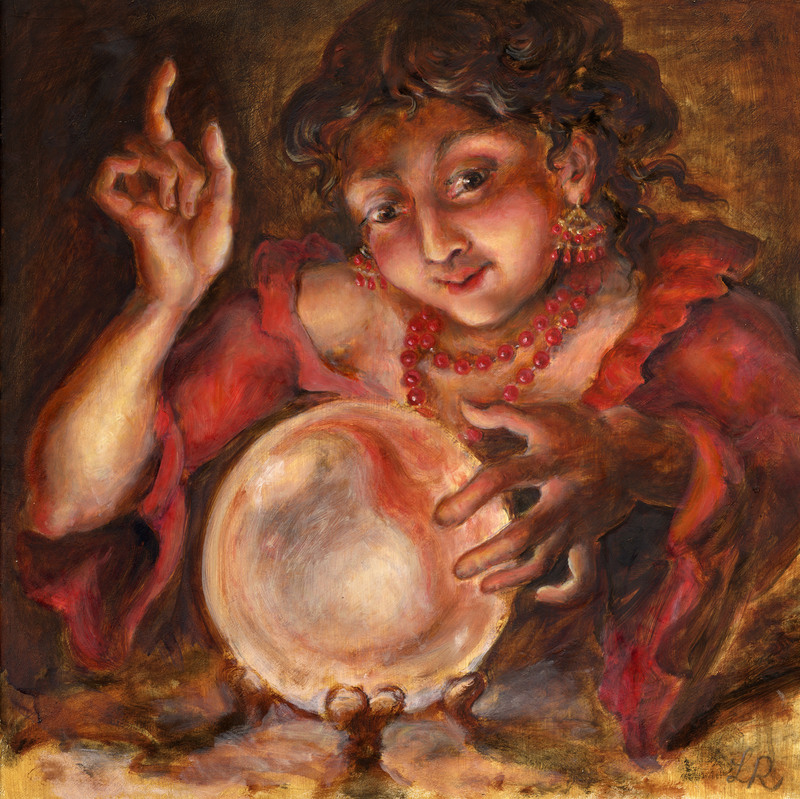 Time pickers cannot forecast the direction of the market because they cannot know the next news story. There is no competitive edge that exists other than illegal inside information. The best way to earn the market’s fair return is to simply remain invested at all times in a relatively low-cost, passively managed index portfolio (also see hebnermodel.com). 1Eugene Fama, Dimensional Financial Advisor Conference, Santa Monica, CA, July 22, 2011. 2William Sharpe, "Likely Gains from Market Timing," Financial Analysts Journal, vol. 31, no. 2 (1975). 3"Technical Note: Calculation of Forecasting Accuracy", SEI Corporation position paper, April 1992. 5Michael Edesess, The Big Investment Lie: What Your Financial Advisor Doesn't Want You to Know (San Francisco: Berrett-Koehler Publishers, Inc., 2007). 6John Graham and Campbell Harvey, "Market Timing Ability and Volatility Implied in Investment Newsletters' Asset Allocation Recommendations," Journal of Financial Economics, vol. 42, no. 3 (1996). 7"Calming Words for Troubled Times," money.cnn.com, last modified April 28, 2008, http://money.cnn.com/galleries/2008/pf/0804/gallery.expert_opinions.moneymag/12.html. 9Robert C. Higgins, Analysis for Financial Management (New York: McGraw-Hill/Irwin, 2004). 10Eugene F. Fama, Lawrence Fisher, Michael Jensen, and Richard Roll, "The Adjustment of Stock Prices to New Information," International Economic Review, vol. 10, no. 1 (1969).